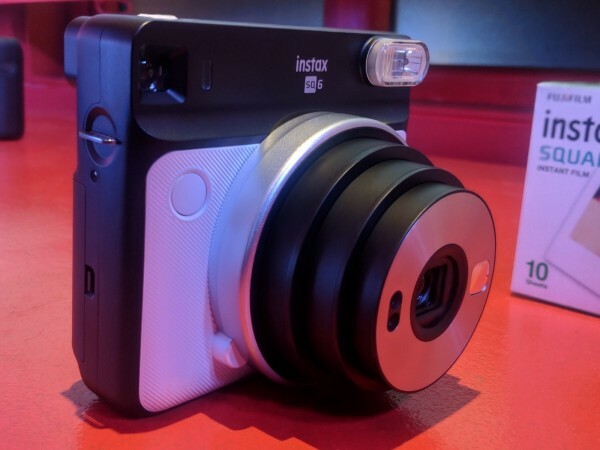 Instax SQ6 is a compact, handy and an adorable piece of hardware for those who love instant cameras. Here's my early hands-on review of the camera as it launched in India on Friday, July 13. "13 Reasons Why" resonated with an entire generation in a way that left everyone else boggled. Apart from the hard-hitting message of the show, another thing that resonated with the millennials, especially, the most would have to be the old school cassette tapes and polaroids. With everything digital, instant cameras have become a thing of novelty. But Fujifilm's latest product is a lovely take on the old school camera with a contemporary look. If you'd much rather freeze a moment in its most authentic form, without the distracting (and often disruptive) option of editing software, the Instax SQ6 is a great option. The use of polaroids in the second season of 13 Reasons Why might have been dark, but polaroid photographs can, in fact, be a great way to take a trip down the memory, back to the days of Kodak cameras and photo albums. Looking at those old physical copies can easily get you nostalgic (it does for me), mainly because we rely solely on digital copies – be it shot on phone or DSLRs. Some would say the extent of freedom one has with digital photographs makes them less special. However, printed photographs, especially if it's a one-time no-filter physical photo in the form of a polaroid do tend to strike a special cord. but it's not as feasible as clicking and storing photos in the cloud. That could change with Fujifilm's Instax SQ6. Fujifilm is a renowned camera brand and it has a series of instant cameras under the brand Instax. 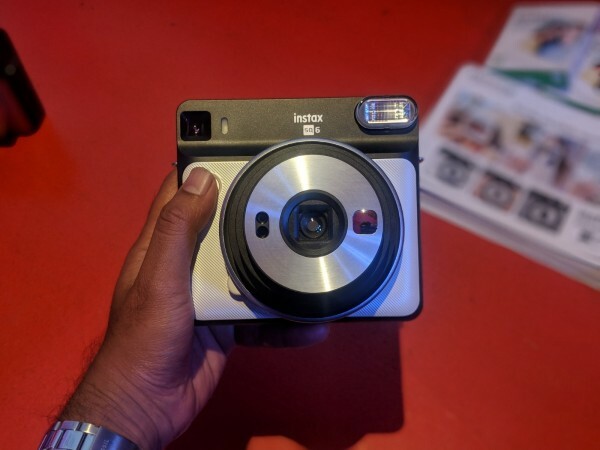 They launched the latest Instax SQ6 in India on Friday, July 13, where I had the chance to test this lovely camera out. Instax SQ6 is priced at Rs 9,999 and comes with a plethora of features inside that innocent-looking Instagram-logo styled camera. 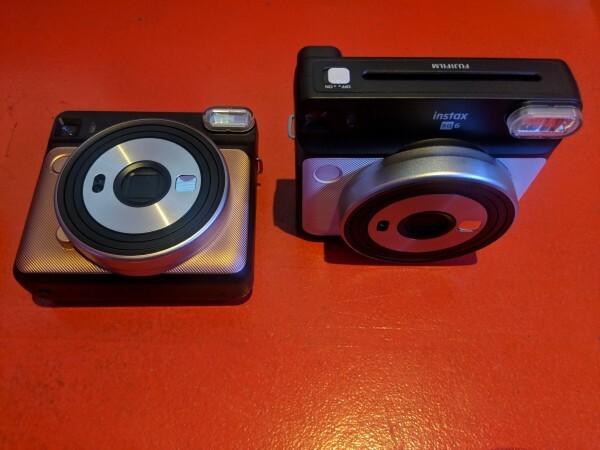 Though I was initially sceptical about it since the Instax SQ6 appears quite big, I was thoroughly impressed by how comfortable it was to hold and use, once I got my hands on it. I did not have to spend too much time getting comfortable with Instax SQ6. Everything on the camera is quite self-explanatory and the light-weight design makes it convenient to carry it around in your backpack with ease, or even use the sling to hang it over your shoulder. 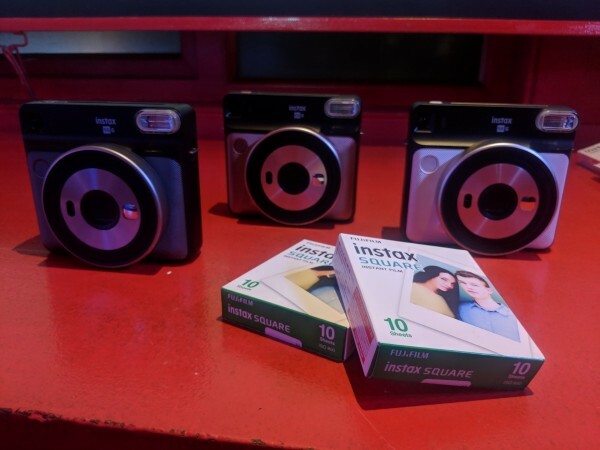 The retro design makes a good selling point for Instax SQ6 and the easy-to-use functions are sure to leave you impressed. The most noteworthy aspect of the design, though, has to be the front area that looks like an Instagram logo but comes with a retractable lens, which, by the way, is automatic. 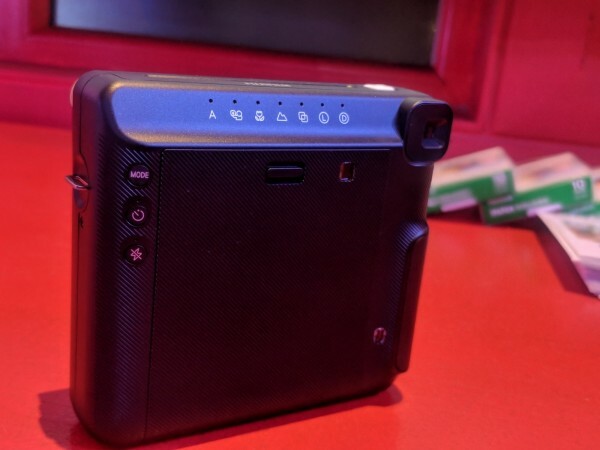 There's also a shutter button that is accessible on the side, an electronic flash and lo and behold a viewfinder, which is practically of no use. At the back of the camera is where all the action happens. There are different modes to help you shoot the perfect photo, ranging from auto, selfie, macro, landscape, double exposure, light, and dark in the same order. To switch between these modes, there's a button that's called "mode". There are dedicated buttons for flash and a useful timer button that I will be able to use when I attach the camera to a tripod (yes, it is possible with a universal tripod screw at the bottom). At the lower right corner, there's a small window to show you how many snaps you've left. Finally, at the top is the power button slider and an opening for your polaroids to emerge from after you've clicked them. Pro tip: When you insert a fresh bundle of Instax prints, the first copy needs to be removed. So don't start posing for the first snap because all you'll get is a black print. Instax SQ6 uses two CR2 lithium batteries, which is good for 300 rounds. The first set is free and inside the box, along with three flash filters which help you get some interesting shots. 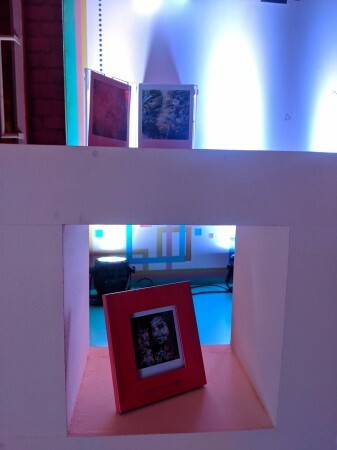 I will be testing these features to give you a thorough insight into how good Instax SQ6 is, though a few initial samples at the event did not disappoint me. Also, you'll see a tiny mirror on the lens, which by the way, is to help you get the right frame while clicking a selfie. After clicking a photo on Instax SQ6, in a matter of seconds, a plain white film will emerge. Give it about 90 seconds and your picture will be developed. It's pretty cool to watch the picture develop, so it's a sight I would recommend you for at least one film. In case you're wondering, Instax Square film costs Rs 699. Each print will cost you Rs 70 bucks, and as S M Ramprasad, Executive VP Graphic Arts Division of Fujifilm said, it does cost you lesser than a cup of coffee (that's Starbucks' black). So are you ready to click those square portraits and hang them on the wall or frame them to be gifted to the special someone?